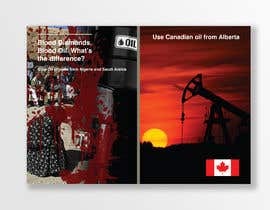 Changing the political landscape in Canada blood diamonds and blood oil whats the difference. 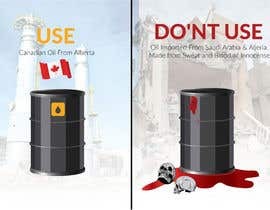 Canad imports 800 000 barrels of oil from Algeria and Saudi Arabia instead of buying local oil from Alberta. 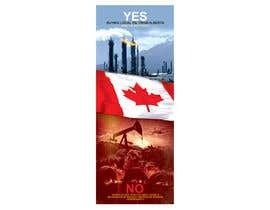 We want a graphic showing maybe a barrel of oil overflowing with blood not oil the Canadian flag counter posed with the Alberta safe barrel. We are open to any ideas to illustrate the source of the blood oil being negative i.e. These 2 countries have no woman's rights, religious freedom, oppressive regimes, undemocratic etc. 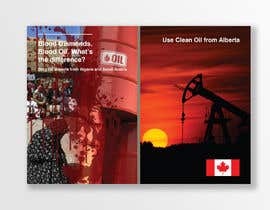 The province of Alberta in Canada can supply to the Eastern region but is blocked for all the wrong reasons.